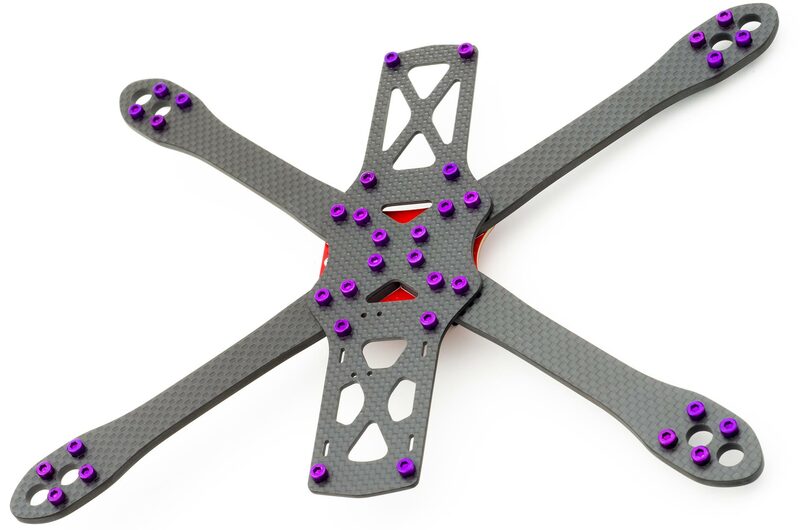 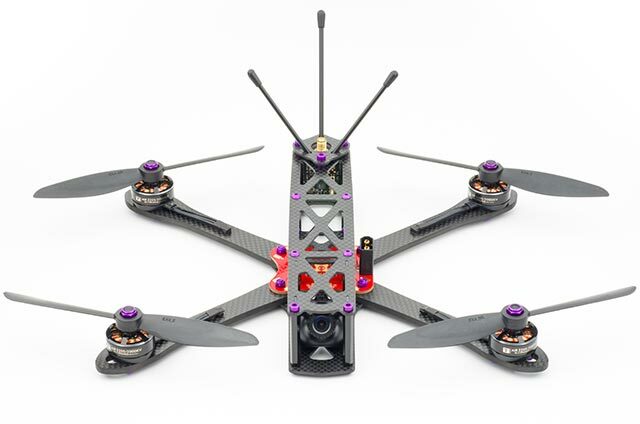 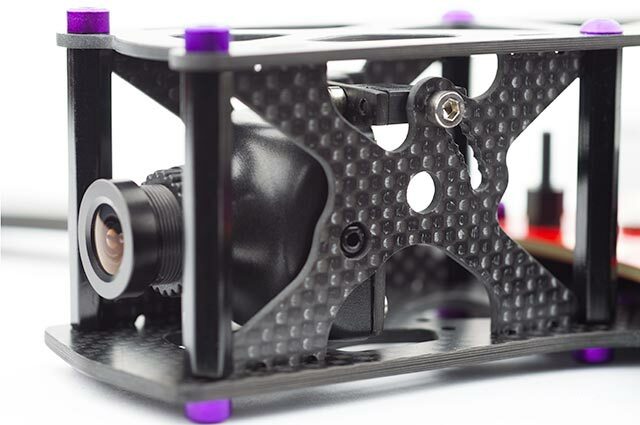 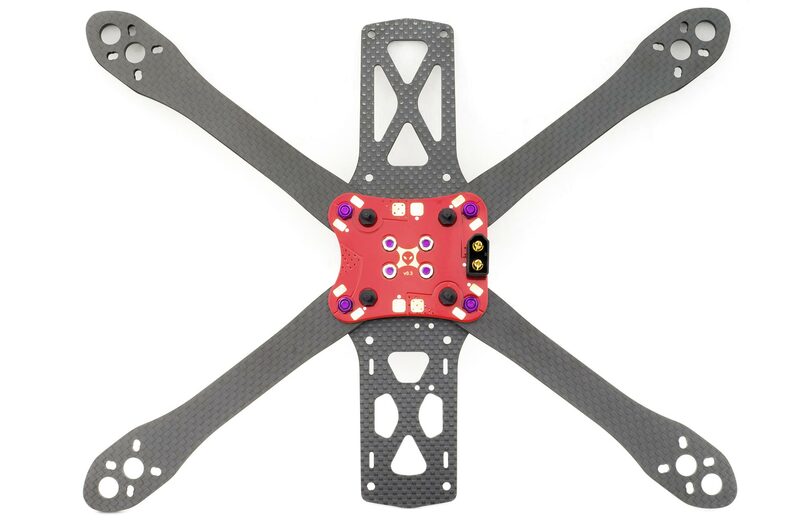 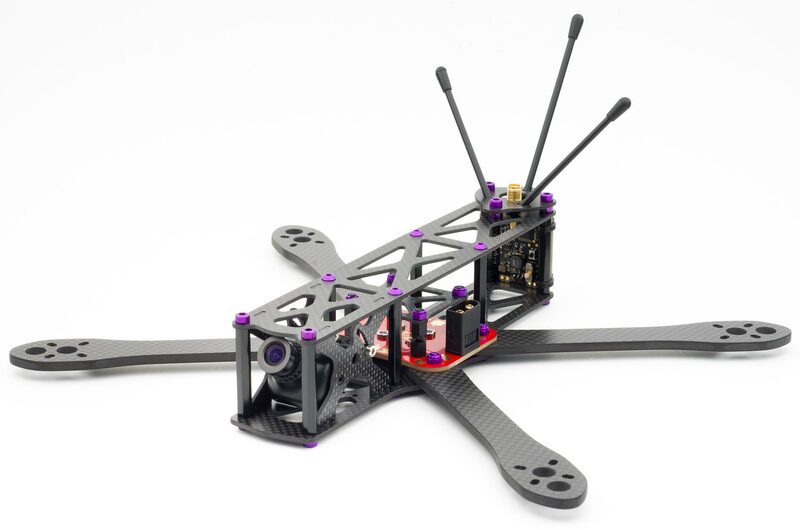 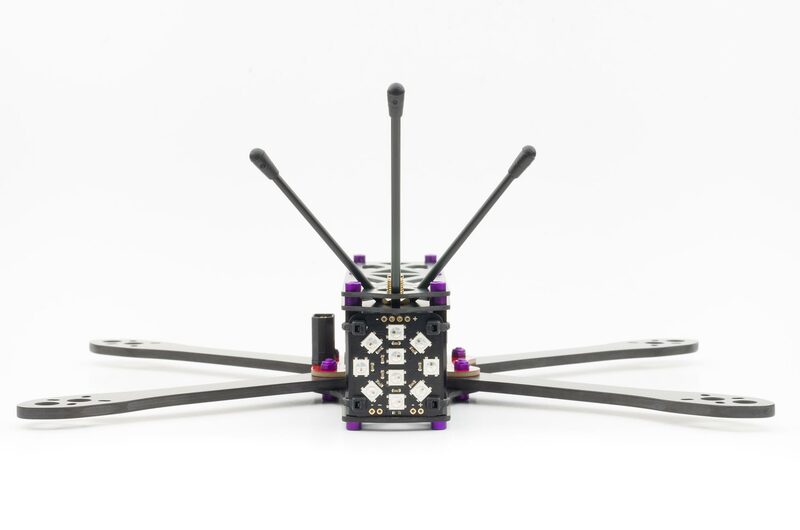 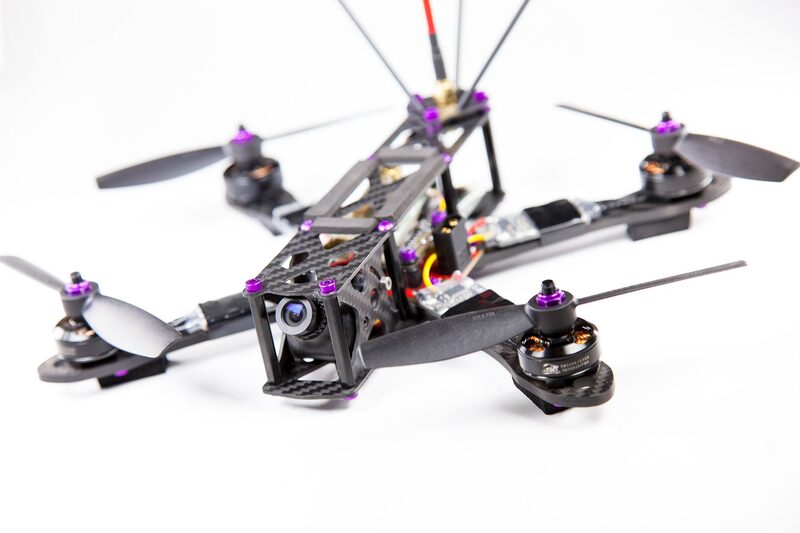 From Soma, the creator of the Warpquad, comes an exciting new line of FPV miniquads. 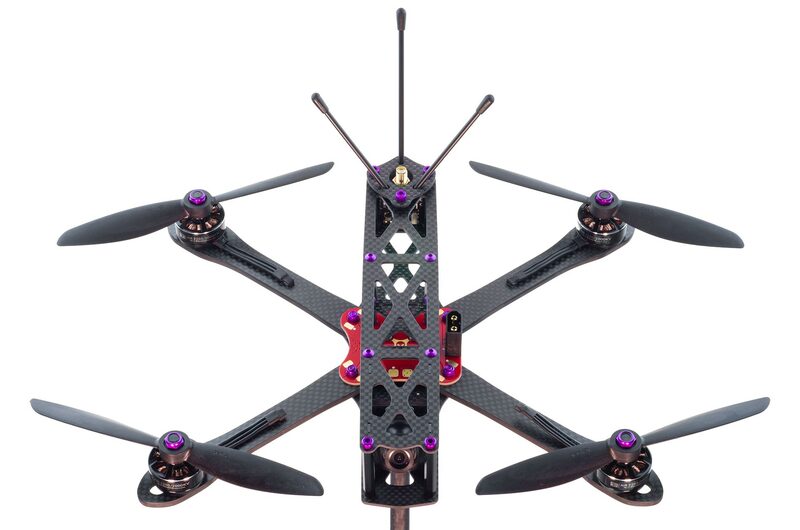 Taking the design principles and philosophy behind his existing acrobatic designs, the Alien range of 4", 5" and 6" frames take performance to a new level! 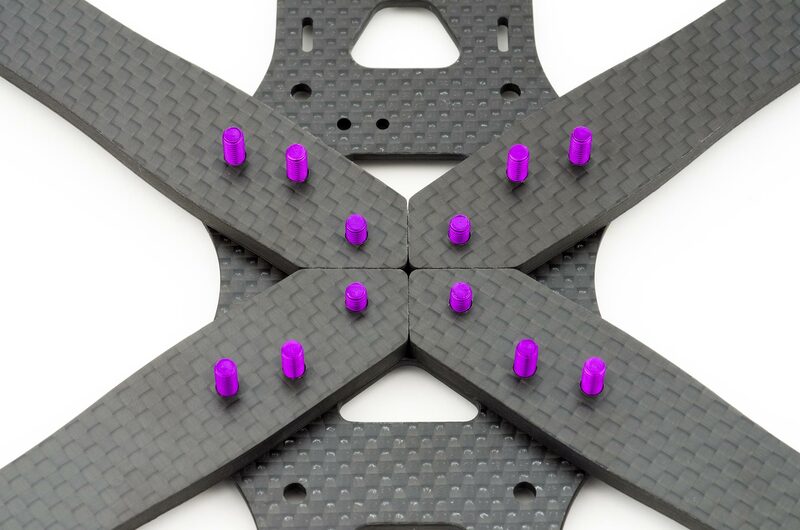 Arms key together centrally and distribute forces of impact across all twelve bolts. Premium 4oz copper gold plated power distribution board. 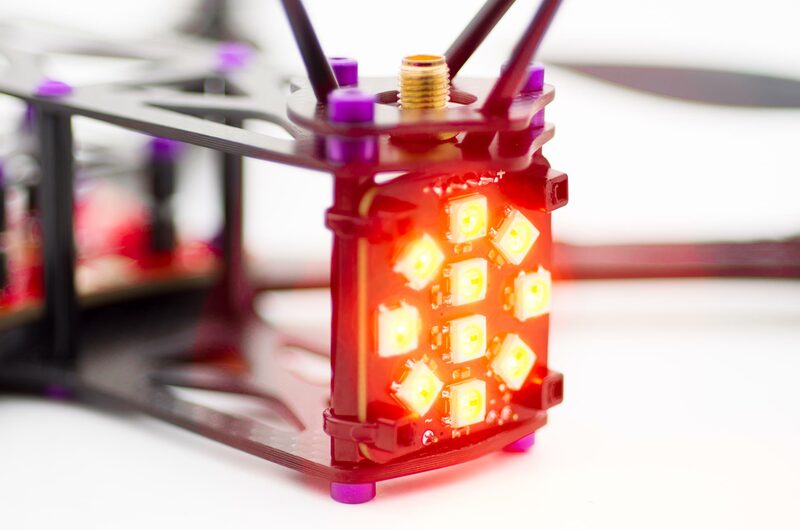 The ten super bright rear RGB LEDs are all that your competitors will see. 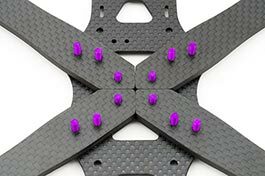 Unique geometry centralises the mass for optimum balance and unmatched handling. 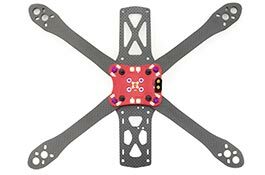 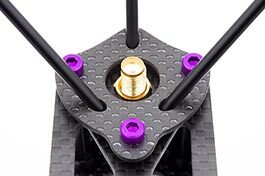 Dedicated antenna tube mounts, angled outwards and backwards, gives maximum reception in fast flight. Super lightweight fasterners in anodised 7075 - T6 heat treated USA made aluminium. 2-4S powered LED controller operates standalone or with Cleanflight input. 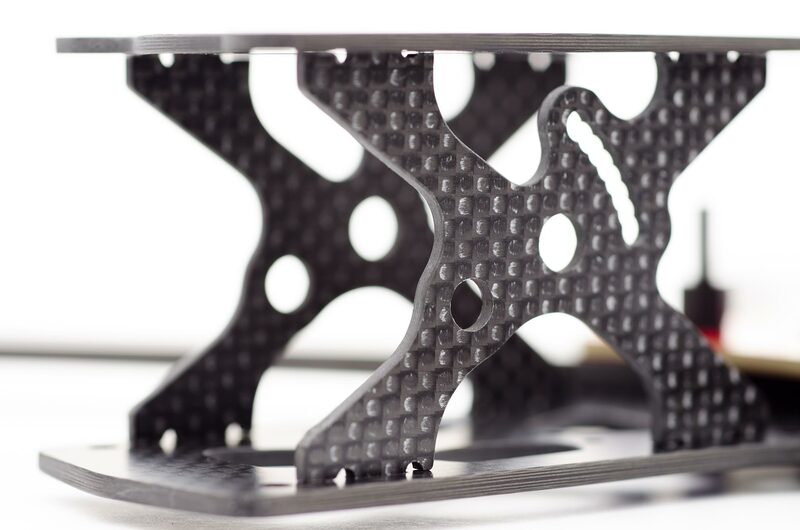 Carbon reinforced fuselage adds strength and rigidity. 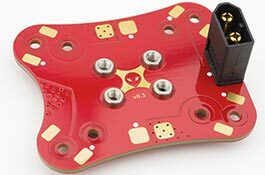 Integrated mechanism supports up to 35 degrees tilt in precise 5 degree increments. 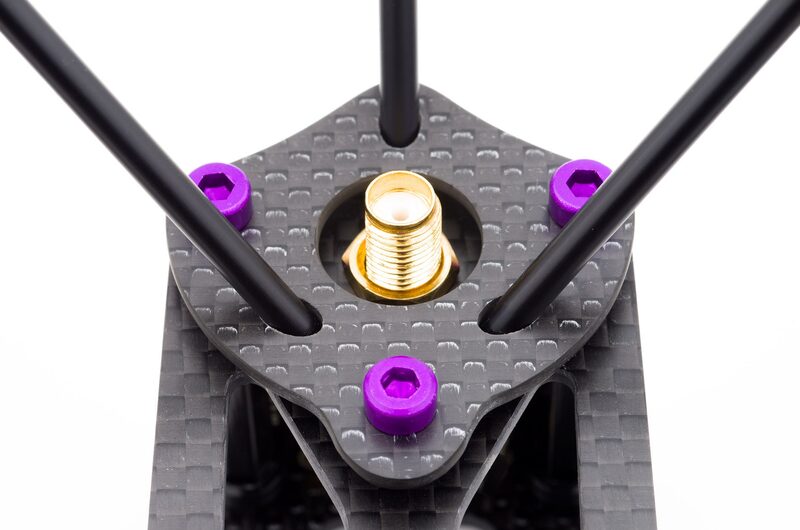 No props or frame in view at any tilt angle. The Alien frames are now available for pre-order! 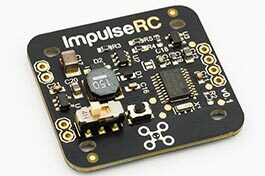 You can keep up to date with the latest news and shipping dates on our RCGroups thread.